Officials must decide whether to continue the town's single-stream recycling program, in which glass, plastic and paper are collected in a single bin. Brookhaven Town officials said Wednesday they will seek additional information about potential recycling options before awarding a new contract to run its processing plant, which has been without an operator since last month. Town officials decided not to award the contract last week, as had been planned, because of questions regarding bids submitted by three potential operators, town chief of operations Matt Miner said in an interview. He declined to specify those issues. Miner said he expects the town board to approve a new contractor to run the recycling facility by Nov. 20. He said Chris Andrade, the town's commissioner of recycling and sustainable materials management, is seeking additional information from state and town officials and waste industry officials before the town awards the bid. Brookhaven officials must decide whether to continue the town's single-stream recycling program, in which glass, plastic and paper are collected in a single bin, or switch to a dual-stream program, in which residents sort the material, Miner said. Green Stream Recycling stopped running the town facility in Brookhaven hamlet on Oct. 29, saying it could not operate amid a steep drop in commodities prices stemming from China's decision to curtail purchases of U.S. recyclables. Miner said West Babylon-based Winters Bros. Waste Systems, a Green Stream parent, is collecting leftover waste from the town facility. Recyclables collected by the town during the past two weeks have been shipped to other processing facilities, he said. Green Stream's decision had a ripple effect on other towns such as Smithtown, Huntington and Southold that also use Brookhaven's facility. Huntington and Smithtown are seeking new recycling vendors, and Huntington officials said this week they would switch to a dual-stream program. Smithtown and Southold also may discontinue their single-stream systems. Miner said Brookhaven officials are planning for an anticipated budget impact caused by changes to the recycling program. He said the town's proposed 2019 budget includes less revenue from sales of recyclables. “We’ll be making any adjustments we have to make to the budget” based on which company is selected to run the program, he said. 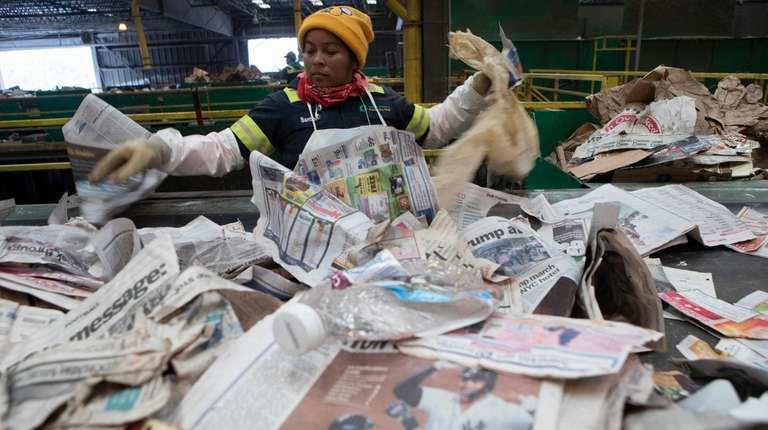 Three companies — Winters Bros., Farmingdale-based All American Recycling and Jamaica, Queens-based Royal Waste Services — submitted bids to replace Green Stream, Miner said. The contract will run for six months, with a possible six-month extension, while Brookhaven considers long-term options. He said the town board could select a new vendor at its Nov. 20 meeting or hold a special meeting before then to vote on the contract. Green Stream hauls away stockpile at recycling facilityGreen Stream Recycling stopped processing recyclables at Brookhaven's recycling facility, but the company was on site to haul away the tons of unprocessed materials that remain there. Officials: Town may stop single-stream recyclingThe town's five-year-old single-stream system -- in which residents place glass, paper and other recyclables in a single bin -- may return to a dual stream, in which material is placed in separate containers. 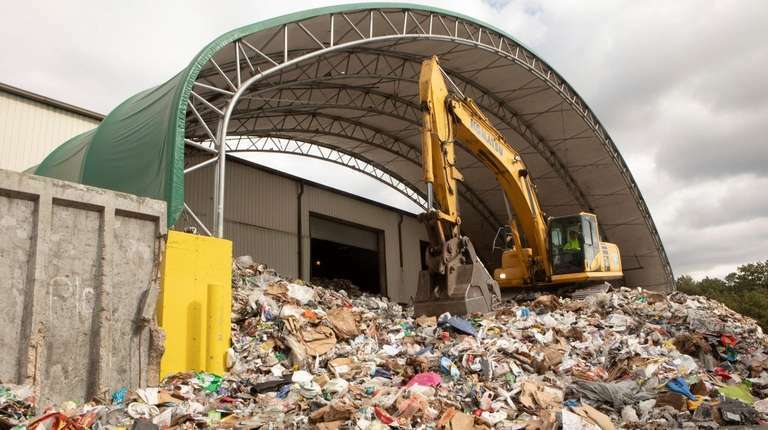 Officials: LI recycling operator expected to dissolveGreen Stream cites plummeting prices for recyclable materials as it leaves Brookhaven Town's single-stream recycling program. The company is likely to dissolve. Your recycling is worth less than it used to be. Here's why.China's ban on scrap imports has started to affect Long Island recyclers.